You will get my Split-window-bus catalogue by sending in 15,-- Euro cash if you live in the EU ( from other countries send 20,--) including postage (payment in advance). It contains the Bus-catalogue No. 8, Veteranen-News and a current price-list. 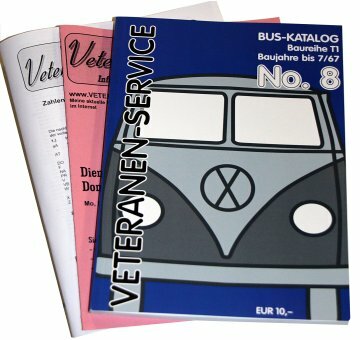 This catalogue ist NOT a colourful picurebook, but a serious help for restoring classic Volkswagens.